Nobody likes pain. The most basic reaction of all living beings from amoebas to humans is to draw away from pain as quickly as possible. However, one of the most profound teachings of nearly all spiritual traditions is to respect pain, whether emotional or physical, as a teacher. This is distinctly different from "grinning and bearing it." It's different than "toughing it out" and "walking it off." It is being mindful of the experience of pain. No, of course, we don't look forward to pain; that would be pretty crazy. Whether emotional pain like disappointment, separation, loss, or betrayal; physical pain like that from disease or injury; or that huge set of experiences of pain that is a combination of both the psychological and the physical like clinical depression or stress related illness, pain should be treated by the appropriate medical and mental health professionals. But it should also be considered in one's spiritual practice. Let's look at an obvious example. The pain a child feels when she is first learning the concepts of hot and cold and gets a little burn teaches her to take care of herself around hot objects. That minor burn stimulated her nervous system to jerk her hand back and to protect herself. The pain of a burn warns us away from situations that could be mortally dangerous. There are lots of similarly unpleasant experiences most children share that teach them self preservation. But what if the pain or damage done is not a transitory learning experience but a permanent scarring? What is the Presentation of the pain of being horribly burned? What is the Presentation of being consumed in a fire? Let's look at another example. A medical doctor uses pain as a diagnostic tool to identify deeper problems. "Does it hurt here? Does it hurt to cough? Does it hurt to raise your arm?" All of these questions may be used by a physician who is attempting to identify the deeper health issues. In those situations pain is an aid to health. But if the pain is too great, the doctor's first response is palliative not diagnostic. If the pain is too great for the patient to tolerate, the doctor must first address the pain and later the underlying illness. In the world view that I bring to this discussion, I believe that most all of us individually, in our communities, and even as a planet are ill and need to be paying attention to the pains we feel in order to correct, protect, and preserve our lives and in some cases in order to be made into something better than we are now. Sometimes the pain of one is a Presentation to the many. Sometimes the pain of the one diagnoses the deeper problems of the world. Avoiding pain and filling the painful places in our lives does not heal these deeper ills. The physician who might prescribe a sedative rather than deal with a patient's psychological problem is not healing only masking pain. It might be possible to deal with the pain of a broken arm with morphine, but for real healing, the arm still must be set. Just as there are drugs that could dope us up to the pain of physical ills there are drug-like experiences that many people use to help them escape other kinds of pain in their lives. For instance, if you're bored you can always go bungee jumping, but what you might also do is try to reflect mindfully on what in your life is not fulfilling. You could figure out what might be missing from your routine that you are masking through artificial situations that get your heart pumping. If you miss a loved one, you could divert yourself with television or with partying rather than use that pain to become aware of both the positive and negative aspects of that broken relationship. This is often where the abuse of both legal and illegal drugs comes from. People who feel a gap or pain in their lives such as lack of excitement, too much stress, lack of focus, or just general bordom may skip the real healing that should come from mindfully looking at these pains and perhaps with the aid of a counselor figuring out what needs to be changed in their lives. Instead they use chemicals to mask the pain that is still alive within them. 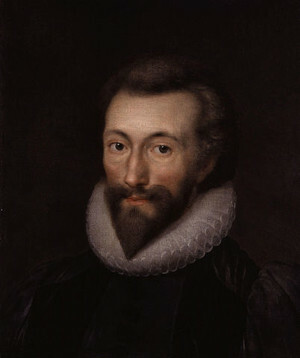 John Donne the Seventeenth Century English poet in his poem "A Valediction Forbidding Mourning" describes in metaphysical language how the pain of absence from his wife makes him more closely related to her. Theirs is not like some dull love that when separated forgets what it loved. Their love is such that when they are apart it grows larger. Like the old saying "absence makes the heart grow fonder." But you may still be asking, "What about the really big pains of terminal illness, of war, of plague, and of famine? What is to be learned by such horrible things?" As some have asked, "If there is justice in the world, how can such things happen?" My answer is, "I don't know." Sure, sometimes like in Rabbi Krohn's story that we read in our unit about love, we can discover a bright and loving spot in the midst of pain. Once and a while the lessons shine through, but sometimes we will never see value to what is suffered. That doesn't mean that the experience has no value. Our ignorance of what is being done in the world or in our lives does not negate that process. "Why?" Is a fair question. And the answer that keeps me from throwing in the towel is that the spiritual benefits of being forced to stop in the face of pain and be aware of what is happening around me may outweigh the suffering itself. Pain makes me stop and reassess. Pain of loss makes me value what I still have. Or perhaps it causes me to keep faith with the person I have lost like Serge did after the death of Bacchus that we read about in our last unit. Pain may allow me to be more than I thought I could be. Just like Rabbi Krohn's baseball heroes by responding lovingly to Shaya's deficit became more fully perfect. Pain is a tough teacher, but sometimes the lessons of spirituality can be taught no other way. If maturity were easy to attain, everyone would have it.